I hope you all had a lovely holiday weekend, whether you celebrate Thanksgiving or not! The kids all got to see and visit relatives - Atticus’s first trip out of town since his diagnosis. I worked on rearranging the house, cleaning, enjoying silence and some much needed alone time, but I was also able to catch up with a couple of good friends. Are you a Black Friday shopper? Is it a tradition for you to go or not go? Do you like going with friends or alone? I mean, you know, she already existed, as did her website, but she refreshed it, added new art and garments. In our cancer education at the beginning of Atticus’ treatment, there was a whole section on siblings and how much they struggle through all of this as well. Anneka looked up the different colors of ribbons that go with different cancers. Yellow is the color for bone cancer so there is a lot of yellow in there, but she added some others as well. You can purchase “Cancer’s Flowers” here. In one night, our little family’s life was shattered as we knew it. At the beginning I looked at this like all of the beautiful things are coming apart, breaking to pieces. Now, I look at it as a painting of hope, of putting things back together - even more beautiful than before. She is not selling the original, but you can purchase prints of “Shattered” here. 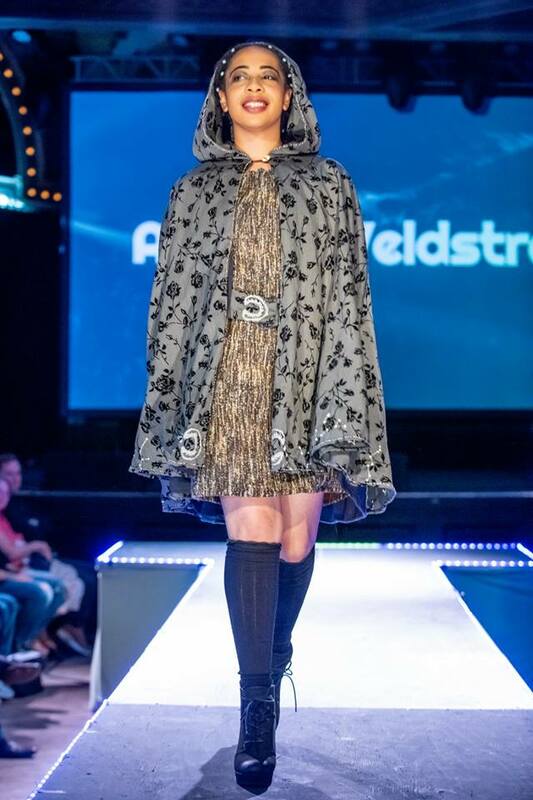 This past June, Anneka made a cape for her project for Modified Style. She embroidered it, hand beaded it, and it was her favourite project she has done so far. Happily, the auction for it went so well she was inspired to make more! Anneka had a booth at the Portland Village Craft fair this year to sell her art and embroidery and capes, and she had a great time. Jayla was Anneka’s fabulous model for her dress, belt and cape! Anneka also offers custom capes so if you are interested in that be sure to contact her. Here are a few of her designs, she made all of these from recycled or vintage fabrics, sewed them together and embroidered them with her own designs. All of these capes are lined, one size fits most, and you can purchase these beautiful, one of a kind, handmade capes right here. Thanks for supporting my super cool kid in her artsy endeavors! Art heals, art saves lives.